Who was Ellen G. White, and why do millions consider her writings of special value and significance? There are many books available for purchase online about the Life and Work of Ellen G. White. In brief, she was a woman of remarkable spiritual gifts who lived most of her life during the nineteenth century (1827-1915), yet through her writings she is still making a revolutionary impact on millions of people around the world. During her lifetime she wrote more than 5,000 periodical articles and 40 books; but today, including compilations from her 50,000 pages of manuscript, more than 100 titles are available in English. She is the most translated woman writer in the entire history of literature, and the most translated American author of either gender. Her writings cover a broad range of subjects, including religion, education, social relationships, evangelism, prophecy, publishing, nutrition, and management. Her life-changing masterpiece on successful Christian living, Steps to Christ, has been published in more than 140 languages. Seventh-day Adventists believe that Mrs. White was more than a gifted writer; they believe she was appointed by God as a special messenger to draw the world's attention to the Holy Scriptures and help prepare people for Christ's second advent. From the time she was 17 years old until she died 70 years later, God gave her approximately 2,000 visions and dreams. The visions varied in length from less than a minute to nearly four hours. The knowledge and counsel received through these revelations she wrote out to be shared with others. Thus her special writings are accepted by Seventh-day Adventists as inspired, and their exceptional quality is recognized even by casual readers. As stated in Seventh-day Adventists Believe . . . , “The writings of Ellen White are not a substitute for Scripture. They cannot be placed on the same level. 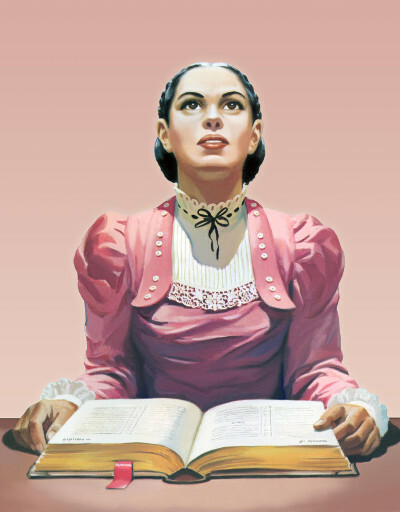 The Holy Scriptures stand alone, the unique standard by which her and all other writings must be judged and to which they must be subject” (Seventh-day Adventists Believe . . . ,Ministerial Association, General Conference of Seventh-day Adventists, Washington D.C., 1988, p. 227). Yet, as Ellen White herself noted, “The fact that God has revealed His will to men through His Word, has not rendered needless the continued presence and guiding of the Holy Spirit. On the contrary, the Spirit was promised by our Saviour to open the Word to His servants, to illuminate and apply its teachings” (The Great Controversy, p. vii). The following is a more detailed account of the life and work of this remarkable woman who, meeting all the tests of a true prophet as set forth in the Holy Scriptures, helped found the Seventh-day Adventist church. Ellen, with her twin sister Elizabeth, was born November 26, 1827, to Robert and Eunice Harmon. With eight children in the family, home was an interesting and busy place. The family lived on a small farm near the village of Gorham, Maine, in the northeastern part of the United States. However, a few years after the birth of the twins, Robert Harmon gave up farming, and, with his family, moved into the city of Portland, about twelve miles east. During her childhood Ellen assisted about the home and helped her father in the manufacture of hats. At the age of nine, while returning home from school one afternoon, she was severely injured in the face by a stone thrown by a classmate. For three weeks she was unconscious, and in the years that followed she suffered greatly as a result of the serious injury to her nose. Ellen's formal education ended abruptly, and it seemed to all that the formerly promising little girl could not live long. In the year 1840, Ellen, with her parents, attended a Methodist camp meeting at Buxton, Maine, and there, at the age of 12, she gave her heart to God. On June 26, 1842, at her request she was baptized by immersion in Casco Bay, Portland. That same day she was received as a member of the Methodist Church. In 1840 and 1842 Ellen, with other members of the family, attended Adventist meetings in Portland, accepted the views presented by William Miller and his associates, and confidently looked for Christ's imminent return. Ellen was an earnest missionary worker, seeking to win her youthful friends and doing her part in heralding the Advent message. The keenness of the Great Disappointment that Jesus did not return to earth on October 22, 1844 was not lessened by Ellen's youth, and she, with others, studied the Bible and prayed earnestly for light and guidance in the succeeding days of perplexity. When many were wavering or were abandoning their Adventist experience, Ellen Harmon, one morning late in December, joined four other women in family worship at the home of a fellow believer in South Portland. Heaven seemed near to the praying group, and as the power of God rested on Ellen she witnessed in vision the travels of the Advent people to the city of God. (Early Writings, pp. 13-20.) As the 17-year-old girl reluctantly and tremblingly related this vision to the Adventist group in Portland, they accepted it as light from God. In response to a later vision, Ellen traveled with friends and relatives from place to place to relate to the scattered companies of Adventists that which had been revealed to her in the first and in succeeding revelations. Those were not easy days for the Adventists who had been disappointed. Not only did they meet scoffing and ridicule from the world at large, but among themselves they were not united, and fanaticism of every sort arose in their ranks. But God, through revelation, opened up to Ellen Harmon the outcome of some of these fanatical moves, and she was charged with the responsibility of reproving wrong and pointing out error. This work she found difficult to perform. On a trip to Orrington, Maine, Ellen met a young Adventist preacher, James White, then 23 years of age. As their labors occasionally brought the two together, there sprang up an affection that led to their being united in marriage late in August, 1846. During the first few weeks following their marriage, James and Ellen gave earnest study to a 46-page tract published by Joseph Bates, in New Bedford, Massachusetts. The tract, entitled Seventh-day Sabbath, set forth the Biblical evidence for the sacredness of the seventh day. Convinced that the views set forth were scriptural, they began to keep Saturday as the Sabbath. Some six months later, on April 3, 1847, Ellen White was shown in vision the law of God in the heavenly sanctuary, with a halo of light around the fourth commandment. This view brought a clearer understanding of the importance of the Sabbath doctrine, and confirmed the confidence of the Adventists in it. (Early Writings, pp. 32-35.) The early days of James and Ellen White's married life were filled with poverty and sometimes distress. Workers in the Advent movement had no one but themselves to depend upon for financial support, so James White divided his time between preaching and earning a living in the forest, on the railroad, or in the hayfield. A son, Henry, was born to the Whites on August 26, 1847. His presence brought joy and comfort to the young mother, but Ellen White soon found she must leave her child with trusted friends and continue her work in traveling and bearing the messages God had entrusted to her. The next few years she wrote extensively, traveled widely to visit the “scattered flock,” and attended conferences. While at Rocky Hill, Connecticut, in the summer of 1849, James White began publication of The Present Truth, an eight-page semimonthly paper. The later numbers carried articles from Ellen White’s pen setting forth prophetic views of the future of the church and sounding notes of warning and counsel. The year 1851 marked the appearance of Mrs. White’s first book, a paper-covered work of 64 pages entitled, A Sketch of the Christian Experience and Views of Ellen G. White. This early document and its Supplement (1854) are now found on pages 11-127 of the book Early Writings. The days of the beginning of the Review and Herald in 1850 and the Youth’s Instructor in 1852, the securing of a hand press, then the publishing of the papers in Rochester, New York, during the years 1852-1855, were strenuous and trying. Money was scarce. Sickness and bereavement played their part in bringing distress and discouragement. But there were brighter days ahead, and when in 1855 the Advent believers in Michigan invited the Whites to Battle Creek and promised to build a little printing house, the tide seemed to turn for the better. In November, 1855, the Review and Herald Publishing Association, with the hand press and other printing equipment, was moved from rented quarters in Rochester, New York, to the newly erected building in Battle Creek, Michigan, so liberally provided by the Advent believers. A few days after Elder and Mrs. White, and those associated with them in the publishing work, arrived at Battle Creek, a conference was held to consider plans for spreading the Advent message. At the close of this general meeting a number of matters of importance to the church at large were revealed to Ellen White. These she wrote out and read to the Battle Creek church. The church members recognized that this message would benefit all the groups of believers, so they voted that it should be published. In due time there came from the re-established press a 16-page tract bearing the title, Testimony for the Church (Testimonies, vol. 1, pp. 113-126), the first of a series of writings that in 55 years totaled nearly 5,000 pages, as published in the nine volumes of Testimonies for the Church. The record of the next few years shows Elder and Mrs. White establishing the publishing work and church organization, and traveling here and there by train, wagon, and sleigh. It is a record of suffering from severe cold on long trips through sparsely settled country, and of God’s special protection from many dangers. It is a record with discouraging features as attacks were directed against the work, and also one of great encouragement as the power of God brought victory into the lives of the Sabbathkeepers and success to the work of those who were leading out in advancing the Advent cause. At an Ohio funeral service held on a Sunday afternoon in March, 1858, in the Lovett's Grove (now Bowling Green) public school, a vision of the ages-long conflict between Christ and His angels and Satan and his angels was given to Mrs. White. Two days later Satan attempted to take her life, that she might not present to others what had been revealed to her. Sustained, however, by God in doing the work entrusted to her, she wrote out a description of the scenes that had been presented to her, and the 219-page book Spiritual Gifts, volume 1, The Great Controversy Between Christ and His Angels and Satan and His Angels, was published in the summer of 1858. The volume was well received and highly prized because of its clear picture of the contending forces in the great conflict, touching high points of the struggle but dealing more fully with the closing scenes of this earth's history. (See Early Writings, pp. 133-295. Ellen White's diaries for the late 1850s reveal that not all her time was devoted to writing and public work. Household duties, friendly contacts with neighbors, especially those in need, claimed her attention, and occasionally she helped to fold and stitch papers and pamphlets when there was a rush of work at the Review office. By the fall of 1860 the White family numbered six, with four boys ranging from a few weeks to 13 years of age. The youngest child, Herbert, however, lived only a few months, his death bringing the first break in the family circle. The culminating efforts to establish church and conference organizations, with the demands for much writing, traveling, and personal labor, occupied the early years of the 1860s. The climax was reached in the organization of the General Conference of Seventh-day Adventists in May, 1863. Two weeks after this, James and Ellen White visited Otsego, Michigan, over the weekend, to encourage the evangelistic workers there. As the group bowed in prayer at the beginning of the Sabbath, Ellen White was given a vision of the relation of physical health to spirituality, of the importance of following right principles in diet and in the care of the body, and of the benefits of nature's remedies--clean air, sunshine, exercise, and pure water. Previous to this vision, little thought or time had been given to health matters, and several of the overtaxed ministers had been forced to become inactive because of sickness. This revelation on June 6, 1863, impressed upon the leaders in the newly organized church the importance of health reform. In the months that followed, as the health message was seen to be a part of the message of Seventh-day Adventists, a health educational program was inaugurated. An introductory step in this effort was the publishing of six pamphlets of 64 pages each, entitled, Health, or How to Live, compiled by James and Ellen White. An article from Mrs. White was included in each of the pamphlets. The importance of health reform was greatly impressed upon the early leaders of the church through the untimely death of Henry White at the age of 16, the severe illness of Elder James White, which forced him to cease work for three years, and through the sufferings of several other ministers. Early in 1866, responding to the instruction given to Ellen White on Christmas Day, 1865 (Testimonies for the Church, vol. 1, p. 489), that Seventh-day Adventists should establish a health institute for the care of the sick and the imparting of health instruction, plans were laid for the Western Health Reform Institute, which opened in September, 1866. 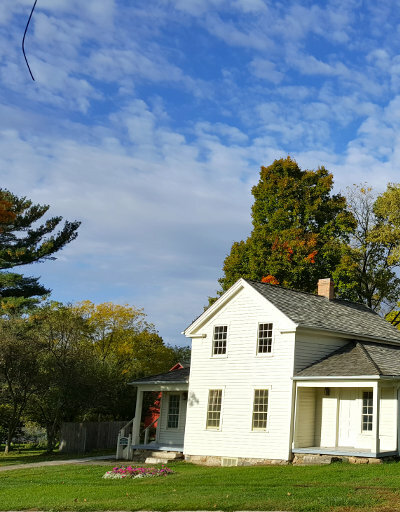 While the Whites were in and out of Battle Creek from 1865 to 1868, Elder White's poor physical condition led them to move to a small farm near Greenville, Michigan. 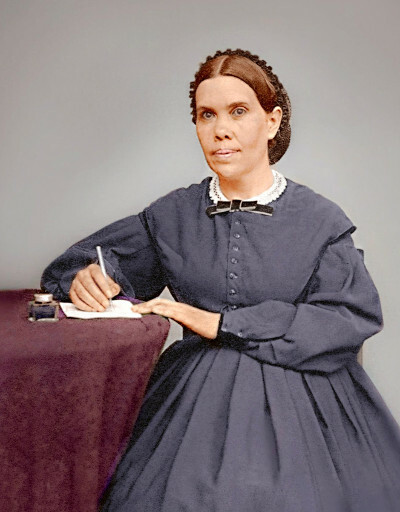 Away from the pressing duties of church headquarters, Ellen White had opportunity to write, and she undertook the presentation of the conflict story as it had been shown to her more fully in further revelations. In 1870, The Spirit of Prophecy, volume 1, was published, carrying the story from the fall of Lucifer in heaven to Solomon's time. Work with this series was broken off, and it was seven years before the next volume was issued. The success of Seventh-day Adventist camp meetings held in Wisconsin and Michigan in the late 1860s led to broader plans for such endeavors in succeeding years. James White took an active part not only in laying plans for these meetings but also in attending as many as his pressing administrative duties and failing health would permit. The long periods of overwork during the struggling beginning days of the church, the taxing strain of editorial duties, together with responsibilities as president of the General Conference and chairman of several institutional boards, took their toll on his health. 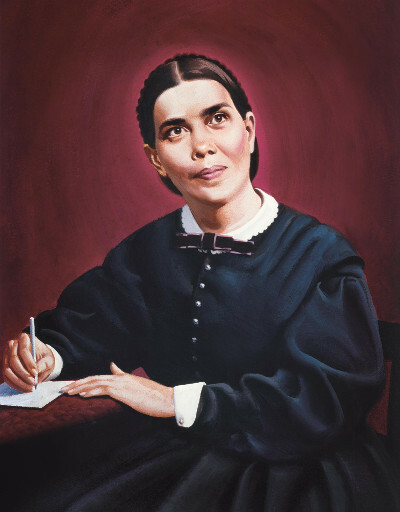 Ellen White accompanied her husband on his journeys, doing her full share of preaching and personal work, and, as time permitted, pushed forward with her writing. The winter of 1872-1873 found the pair in California in the interests of strengthening church projects on the Pacific Coast. This was the first of several extended western sojourns during the next seven years. An important vision was given to Ellen White on April 1, 1874, while in the West, at which time there was opened up to her the marvelous way in which the denomination's work was to broaden and develop not only in the western States but overseas. A few weeks later, tent meetings were opened in Oakland, California, and in connection with this public effort Elder White began the magazine Signs of the Times. In the fall of 1874 the Whites were back in Michigan, assisting with the Biblical Institute, leading out in Sabbath services, and taking a prominent part in the dedication of Battle Creek College on January 4, 1875. As Ellen White stood before the group who had gathered from a number of states to dedicate this, the denomination's first educational institution, she related what had been shown to her the day before in a vision. The picture she presented of the international work that must be accomplished by Seventh-day Adventists impressed the assembled workers and believers with the importance and need of the college. Among other things, she told of having been shown printing presses operating in other lands, and a well-organized work developing in vast world territories that Seventh-day Adventists up to that time had never thought of entering. During the next few years much of Mrs. White's time was occupied in writing that part of the conflict story dealing with the life of Christ and the work of the apostles. This appeared in volumes 2 and 3 of The Spirit of Prophecy, in 1877 and 1878. 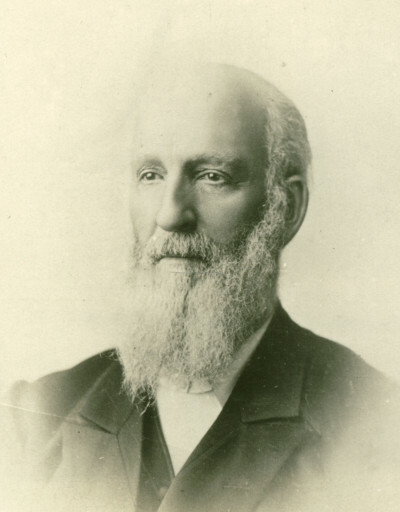 Elder White was busily engaged in establishing the Pacific Press in Oakland, California, and in rasing money to enlarge the Battle Creek Sanitarium and to build the Tabernacle in Battle Creek. When the Whites visited the new health institution near St. Helena, California, early in 1878, Ellen White exclaimed that she had seen those buildings and surroundings in the vision shown her of the broadening work on the West Coast. This was the third Pacific Coast enterprise she had seen in the 1874 vision, the others being the Signs of the Times and the Pacific Press. During the camp meeting season of the late 1870s, Ellen White addressed many large audiences, the largest being the Sunday afternoon congregation at Groveland, Massachusetts, late in August, 1877, at which time 20,000 people heard her speak on the broad aspect of Christian temperance. Her travels and labors during this period took her east and west and into the Pacific Northwest. She wrote incessantly, attended General Conference sessions, filled speaking appointments at camp meetings and in churches, appeared before temperance groups, and even filled appointments in town squares and state prisons. Elder White's failing health led to a trip into Texas for the winter of 1878-1879. It was here that Arthur Daniells, who in later years served as president of the General Conference, and his wife, Mary, joined the White family, the youthful Arthur as Elder White's companion and nurse, and Mary as cook and housekeeper. There were periods during the next two years when Elder White was in reasonable health and able to continue with his work. But his long years of mental and physical overwork had diminished his life forces, and he died in Battle Creek on August 6, 1881. Standing at the side of her husband's casket at the funeral service, Ellen White pledged herself to press on in the work that had been entrusted to her. Soon Ellen White was again on the Pacific Coast, feeling keenly the loss of her companion, but earnestly engaged in writing the fourth and last volume of the Spirit of Prophecy series. The conflict story from the destruction of Jerusalem to the close of time was presented in this long-awaited volume. When it came from the press in 1884, the book was well received. An illustrated edition for house-to-house sale was published, carrying the title The Great Controversy Between Christ and His Angels and Satan and His Angels, and within three years 50,000 copies were sold. For some time the General Conference had been asking Mrs. White and her son, W. C. White, to visit the European missions. As she prepared for the journey, it seemed to those close to her that her physical condition would make the trip impossible. Obedient, however, to what seemed duty, she embarked on the journey, was given the necessary health, and spent the time from the fall of 1885 to the summer of 1887 in the European countries. From Basel, Switzerland, then the headquarters of the church's European work, Mrs. White made trips to England, Germany, France, Italy, Denmark, Norway, and Sweden. Of particular interest to her were two trips to the Waldensian valleys in Italy, where she visited places she had seen in vision in connection with the Dark Ages and the Reformation. Both in Basel, Switzerland, and Christiana (now Oslo), Norway, Ellen White recognized the printing presses as those shown her in the vision of January 3, 1875, when she saw many presses operating in lands outside North America. The counsel given by Ellen White to European church workers meant much in the establishment of right policies and plans. Because The Spirit of Prophecy, volume 4, was called for in the European languages, Ellen White felt she must write out more fully the controversy scenes involving places in Europe. The result was the book known today as The Great Controversy, first published in 1888. Back again in the United States, Ellen White made her home at Healdsburg, California, but attended the General Conference session of 1888 in Minneapolis, Minnesota. In the following months she traveled and preached, seeking to unify the church on the doctrine of righteousness by faith. During this same period she worked on Patriarchs and Prophets, which appeared in the year 1890. At the General Conference session of 1891, Mrs. White was presented with an urgent call to visit Australia to give counsel and assist in church work in that pioneer region. Responding to this appeal, she reached Australia in December, 1891, accompanied by her son, Elder W. C. White, and several of her assistants. Her presence in Australia was much appreciated by the new believers, and her messages of counsel regarding the developing work contributed much to firmly establishing denominational interests in this southern continent. Here again, on her visit to the church's publishing house, Mrs. White recognized printing presses as among those shown her in vision in January, 1875. Not long after her arrival Ellen White saw clearly the urgent need for an institution of learning in Australia, that Seventh-day Adventist youth might be educated in a Christian environment, and thus workers be trained for service at home and in the island fields. In response to her many strong appeals, a Bible school was opened in the city of Melbourne, Australia, in 1892. The school operated in rented quarters for two years, but during this time earnest written and oral appeals from Mrs. White pointed out that God's plan called for the school to be located in a rural environment. When God clearly indicated His approval of the property, the Avondale Estate was secured. Then, to give encouragement to those in this pioneer enterprise, Mrs. White purchased a good-sized lot nearby and made her home near the new school. This school, God indicated, was to be a pattern of what Adventist educational work should be. In order that the developing work in Australia might be properly administered, in 1894 the territory was organized into a union conference, the first union conference in Seventh-day Adventist history. One who had a part in the administrative work in the newly organized union conference was Elder A. G. Daniells, who, with his wife, had been sent to New Zealand in 1886 as a missionary. His association with Mrs. White, and his adherence to her counsels as he met the growing administrative problems of the field, helped to prepare him for the greater work entrusted to him when, after the General Conference session of 1901, he was chosen president of the General Conference. 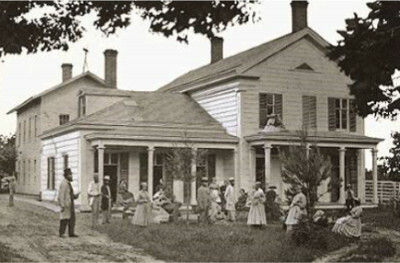 As soon as the educational work was well begun at Avondale, appeals were made for establishing a medical missionary program. To this Ellen White not only gave strong moral support but contributed liberally of her limited means to help make a sanitarium possible. 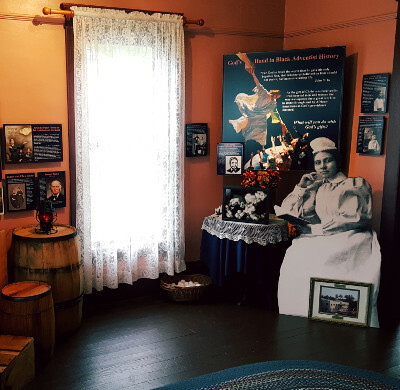 In fact, almost every church built and every line of endeavor inaugurated during the nine years of Mrs. White’s residence in Australia benefited from her financial encouragement. In addition to her many interests in the local work of this pioneer field, Mrs. White found time to write thousands of pages of timely counsel that crossed the seas and guided denominational leaders. She also furnished articles weekly for the Review, Signs, and Instructor. This heavy program greatly delayed her book work, and it was not until 1898 that The Desire of Ages was brought to completion and made its appearance. Thoughts from the Mount of Blessing preceded it by two years, and Christ’s Object Lessons and Testimonies for the Church, volume 6, followed in 1900. In 1891 Ellen White appealed to church leaders to begin educational and evangelistic work on behalf of the Black race in America's South. Three years later, one of her sons, James Edson White, built a Mississippi River steamboat and used it for about a decade as a floating mission for Blacks in Mississippi and Tennessee. In 1895 and 1896 she wrote articles in the "Review and Herald" continuing to urge that efforts be made for Blacks in the South, and from time to time she sent messages of counsel and encouragement to workers in that field. She gave strong support to the establishment of Oakwood College, in Huntsville, Alabama, which was founded for the purpose of educating young African-Americans. 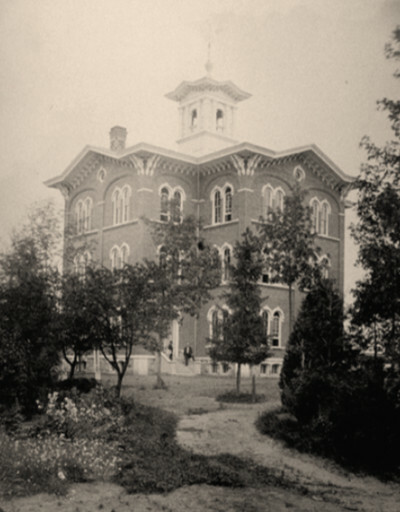 In 1904 she gave a speech to its students and teachers, declaring, "It was God's purpose that the school should be placed here." Throughout the remaining years of her life, she maintained a deep interest and concern for the church work among Blacks in the southern States. One day in 1900 Ellen White surprised her family and associate workers by telling them that divine instruction had come to her in the night that she must return to America. From the standpoint of the work in Australia it seemed a most inopportune time for her leave, but One whose eye watches His church enterprise as a whole and looks into the future, knew well the need of her presence in the United States during the crisis that would fill the early years of the new century. Making her home at Elmshaven, a few miles from the rural town of St. Helena in northern California, Ellen White spent the 15 remaining years of her life in book preparation, writing, personal labor, and travel. No sooner was she well settled at St. Helena than she received a call to attend the General Conference session of 1901 in Battle Creek, Michigan. At this important meeting she boldly called for a reorganization of the work of the Seventh-day Adventist General Conference, that the expanding interests of the church might be fully provided for. The delegates responded to her call, developing and implementing a plan of reorganization, opening the way for the wide distribution of the growing responsibilities which, up to that time, only a few men had carried. They adopted the plan of union conferences to be intermediate organizations between the General Conference and local conferences, and arranged for General Conference departments. These steps opened the way for great expansion and development of the work of the denomination. 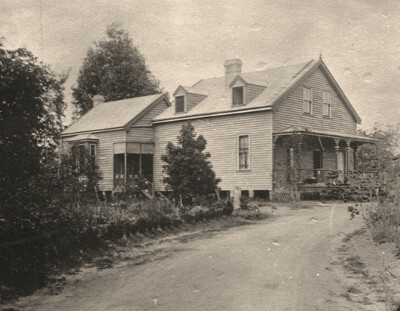 Two years later the offices of the General Conference and the work of the Review and Herald Publishing Association were moved from Battle Creek, and in harmony with Mrs. White’s counsel that they should be near the East Coast, they were established at Takoma Park, Maryland, a suburb of Washington, D. C. At this juncture Mrs. White left her California home and moved to Takoma Park. For about five months she carried on her work there. Mrs. White’s presence at the denominational headquarters helped establish confidence in the decision to move east. During her stay in Washington, Mrs. White encouraged church workers in southern California to secure property for a sanitarium in Loma Linda, and she called for the opening of medical missionary educational work on the Pacific Coast. 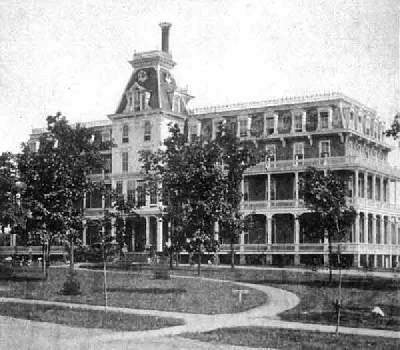 During the next few years Ellen White frequently interrupted her book work for trips to Loma Linda to encourage the workers there, and to the Paradise Valley Sanitarium near San Diego, which she had helped to establish in 1903. At the age of 81 Mrs. White traveled again to Washington, attending the General Conference session in 1909. At the conference she spoke a number of times in a clear, firm voice. After this meeting, in fulfillment of a long-felt desire in her heart, she visited her old home city of Portland, Maine. There she again bore her testimony in that historic place where her work had had its beginning 65 years earlier. This was her last trip to the eastern states, and it made a lasting and vivid impression on the many Seventh-day Adventists who heard her speak or who met her at the General Conference session. Realizing that her remaining days were few, when Ellen White returned to Elmshaven she intensified her efforts to bring out a number of books presenting essential instruction to the church. Testimonies for the Church, volume 9, was published in 1909. In 1911 The Acts of the Apostles appeared. In 1913 Counsels to Parents and Teachers was issued, and in 1914 the manuscript for Gospel Workers was finished and sent to the press. The closing active months of Mrs. White’s life were devoted to the book Prophets and Kings. On the morning of February 13, 1915, as Ellen White was entering her comfortable study room at Elmshaven, she tripped and fell, and was unable to rise. Help was summoned, and it soon became clear that the accident was serious. An X-ray examination disclosed a break in the left hip, and for five months Mrs. White was confined to her bed or wheelchair. Her words to friends and relatives during the closing weeks of her life indicated a feeling of cheerfulness, a sense of having faithfully performed the work God had entrusted to her, and confidence that the cause of truth would finally triumph. The life of Ellen White ended July 16, 1915, at the age of 87 years. She was laid to rest at the side of her husband in Oak Hill Cemetery, Battle Creek, Michigan. Ellen White lived to see the Advent movement grow from a handful of believers to a world-wide membership of 136,879 that, by 2000, had exceeded 11 million. EGW Writings books are available for purchase online on the Life and Work of Ellen G. White from AdventistBookCenter.com Website.